I hope you’ve all had a really great start of the month. My husband is back from Germany and we had a nice and quiet weekend. Again, thank you so much for all your sweet comments on my last posts! So one of the things I wanted to talk about recently is that I’ve really gotten into thrifting lately mainly because I’m exploring junk journals so one of my recent stops at a local thrift store I didn’t find any books but I found these awesome bookplates. Aren’t they cool? 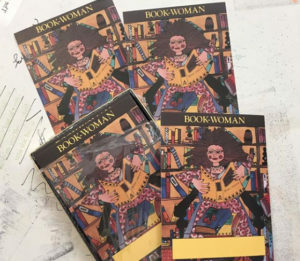 I remember when I first saw a poster of Bookwoman years and years ago and always meant to get one but never did. I don’t really use bookplates but for 99 cents I couldn’t pass these up and besides I can use these in my journaling. 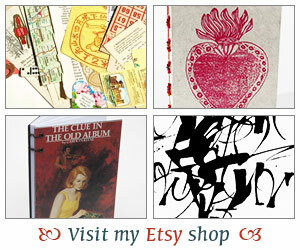 One great source for books is Thriftbooks.com. How is it that I didn’t know about this website? It’s awesome and if you place a minimum order of $10 then you get free shipping. Gotta love that. A couple of weeks ago I decided to place an order and here is what I found some books on gardening, fairies and best of all a copy of The Country Diary of an Edwardian Lady by Edith Holden. I was really happy with my purchase and can’t wait to start using some of these books for my junk journals and other mixed media projects. Did you know about Thirftbooks and have you used them before? How did I not tell you about Thriftbooks? I’ve used them for years. And have recommended them to both the book groups I’m involved in. They are a great source for older books that the library may have weeded. Love those bookplates! I remember the poster of Bookwoman from long ago, too… always liked that one. And I’ve never heard of Thriftbooks…. can’t wait to check it out!